The Snowball pendant light has an exciting story to tell and came to the market only with detours. It was first exhibited in the Kunstindustrimuseet in Copenhagen in 1958. It hung next to the PH 5 pendant light, which today is regarded as the most popular and well-known model of the PH-series. Probably for this reason, the PH Snowball did not receive the deserved attention. It was a bit ahead of its time. It was only years later that the gaze fell on the treasure that had been forgotten. Luckily! 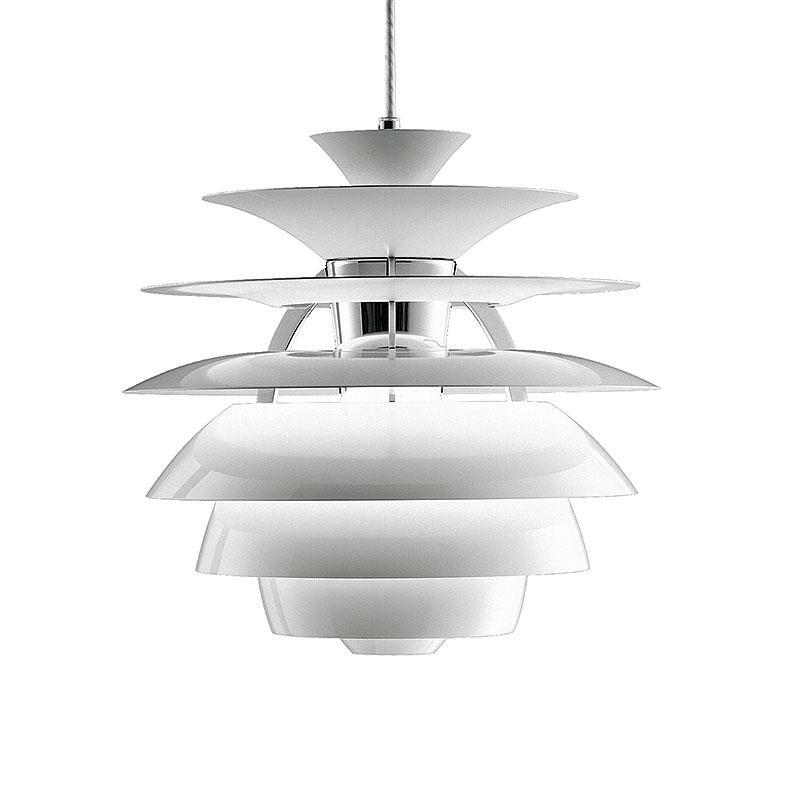 The manufacturer Louis Poulsen launched the production and brought PH Snowball - now finally available to every design lover - on the market. The shade of the luminaire consists of a total of 8 slats made of drawn aluminum. They are glossy at the top and matt at the bottom. The matt surface allows a particularly even distribution of the lighting into the room. The main focus of the creative work of the designer Poul Henningsens was the exploration of lighting reflections and the design of a uniform lighting image. Even today after his death, the manufacturer Louis Poulsen benefits from this pioneer of the designer.